History of the Coquitlam,Port Coquitlam,Port Moody.... British Columbia area. I came across this 1912 photo at the Coquitlam Archives. Miss-named as Dudney Trunk road, is really a photo of Dewdney Trunk Road, with Flint Street barely showing on the left, the large building is the Commercial Hotel. Today the main road leading off into the distance is Highway 7, more commonly known as the Lougheed Highway, Looking to the east, towards Pitt Meadows. Labels: "Commercial Hotel", "Coquitlam Archives", "Dewdney Trunk Road", "Flint Street", "Lougheed Highway", "Port Coquitlam"
NATURE first fashioned a plain, locating it on a broad, deep magnificent river—the Pitt—surrounding it with mountains, and scenic effects unparalleled. A railroad, the Canadian Pacific, traced its main line across the plain into Vancouver, seventeen miles away, and made of that city the largest and most prosperous in Western Canada. Eight miles away on the Fraser River, into which the Pitt flows, was New Westminster, a municipality throbbing with real Western energy and progressiveness. Less than two years ago some of the shrewdest railway experts in the country decided upon this plain as the location of a railway terminal in which would be combined all of the experience of the past five decades of railway building. Following this decision approximately $1,000,000 has been spent by the C. P. R. to establish on this splendid location the first unit of the vast scheme evolved. 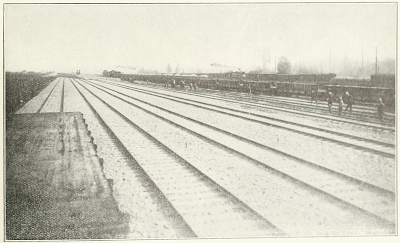 Following this move by the great transportation company in the world, industries have located there, buildings have been erected, houses have been constructed, roads have been built, the acres surrounding the railway holdings have been cleared and graded, and a city has been designed on broad, generous and far-sighted lines. That is COQUITLAM. (1) New block, corner Simpson and Broadway. (2) Starting work on the Call Switch factory. (3) Paving Simpson Street. (4) Scene in Shaughnessy Division. 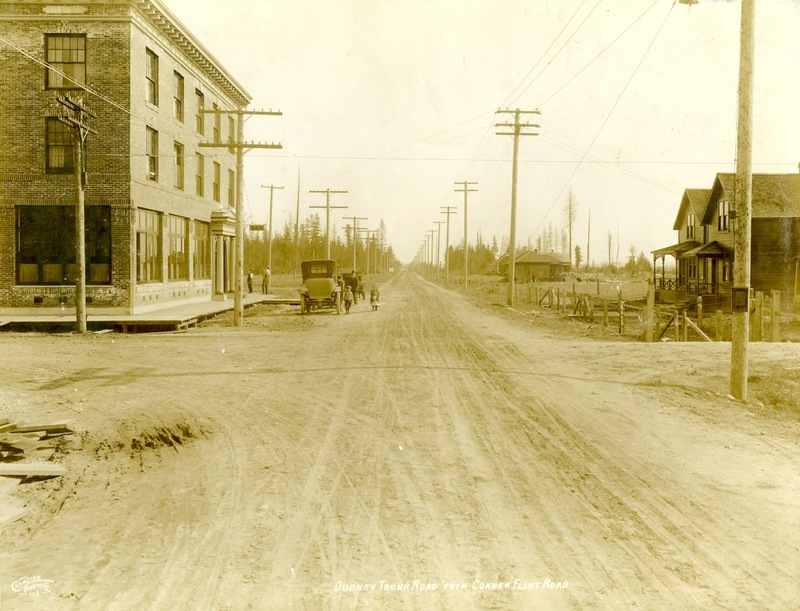 (5) Building Dewdney Trunk Road. (6) Pitt River Road. wooden station-house sprang up the typical Western community. This small cluster of houses looked out upon the broad, welcoming plain, the only one offering any inducements to the great railway builders of Canada. The dreamers dreamed and the prophets told of the future, but the Canadian Pacific experts acted on the wisest counsels and with the best brains money can buy. They said, “This will be the greatest railway terminal in Canada— yes, it will rival any on the continent,” and on this plan they have proceeded. On December 15 about two hundred and fifty employees of the C. P. R. will be moved to Coquitlam, there to operate what the railwaymen are pleased to state is but the first unit, which consists of twenty miles of yards, a round house, car repair and construction shops, machine shops, coaling stations, and the latest and most improved of railway terminal equipment. These men are but forerunners of the employees to come. They are to operate only this first unit, which is to he expanded as rapidly as time, money and labor will permit. When the terminals are completed there will he thousands of railway employees placed on the ground to manipulate the immense facilities provided. Looking to the future, the Canadian Pacific is now extending a long industrial spur track to the property of the Coquitlam Terminal Company, where have been located industrial sites suitable for any industry that wishes location near big markets, on a large transcontinental railway line and with adequate deep-water facilities. Already there are reservations made for a long list of industries. Another large group of manufacturers are busy building their machine shops, their warehouses and their plants. Others are now in operation. Vancouver is the logical solution to the wheat congestion of the eastern Canadian cities—it is the only port in Canada of any size which is open twelve months of the year. All of the other ports, with the exception of Prince Rupert, which has as yet no transcontinental railway connection, are frozen up during the winter. The elevators are filled to the brim and storage space for the fruits of the bountiful prairies is at a high premium. Wheat and grains of all kinds can flow through Vancouver to the markets of the world during the entire year. But in the city of Vancouver waterfrontage and dock facilities are not available in sizes sufficient for handling this tremendous business. With deep water, immense railway terminals connecting with all of the cities and territory of the greatest railway line in the country, it offers unparalleled opportunity for grain elevators and other facilities for the handling of the prairie products. Coquitlam has been investigated by the C. P. R. as a location for the grain elevators which that company intends to build. Elevators in themselves do not bring such large numbers of employees, but they are conducive to the establishment nearby of other industries such as flour mills, cooper shops, bag manufacturing works and others of kindred sort. A shipbuilding plant has been located on the banks of the Pitt River on one of the large industrial sites of the Coquitlam Terminal Company. The first keel will be laid by the middle of November. The company is incorporated at half a million dollars and has as much more money to use when the time comes. Other industries besides the shipbuilding plant and the C. P. R. terminals located at Coquitlam are: Vancouver-Prince Rupert Meat Packing Co., B. C. Electric Power House, Fraser River Mills, Dominion Match Co., B. C. Paper & Pulp Mills, McKay, Brown Lumber Co., Crabb Lumber Co., Lamont Shingle Mills, Call Switch Co., Coquitlam Shipbuilding & Marine Railway Co., J. 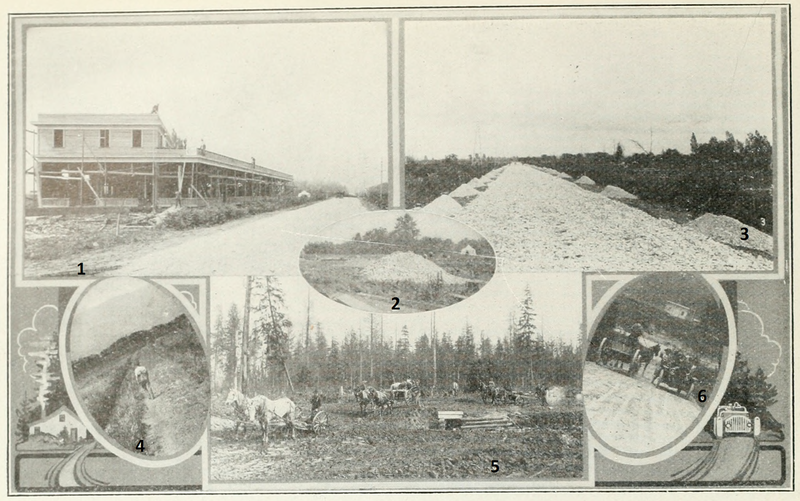 A. Dewar gravel pits, and the Western Canada Power Co., Ltd. The C. P. R. is building a $2,000,000 double-track railway bridge across the Pitt River and has double-tracked the distance between Coquitlam and Vancouver, preparatory to the doing of an immense business. The provincial government of British Columbia will within the next few weeks begin construction on an electric railway and vehicular bridge to cross the Pitt a few rods north of the C. P. R. structure. The old village of New Westminster junction is being absorbed in the new city, which will soon be incorporated under the name of Port Coquitlam. The new Port Coquitlam station, which is to cost about $30,000, is about 3,000 feet east of the old station, while the new business district is to be located in the centre of First Division. With the development of the C. P. R. Western terminals, the establishment of industries and the building up of the district comes a general influx of minor industries which are locating close to the C. P. R. holdings. All of these are to be provided by the Coquitlam Terminal Company with track and yard facilities to be found on no other industrial sites near Vancouver. Another important factor in the consideration of Coquitlam is that workingmen can secure sites for homes at prices very much cheaper than in Vancouver By the same token sites for industries can be secured cheaper at Coquitlam and with much bigger, broader and better facilities than at Vancouver. 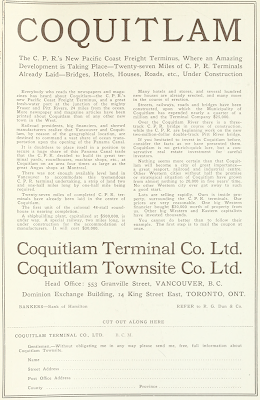 Coquitlam is, as one railway man declared, “to be the distributing point of Western Canada. It will form the working portion of Greater Vancouver. There will be located the industries, the life, the pulse of the Canadian Pacific coast. 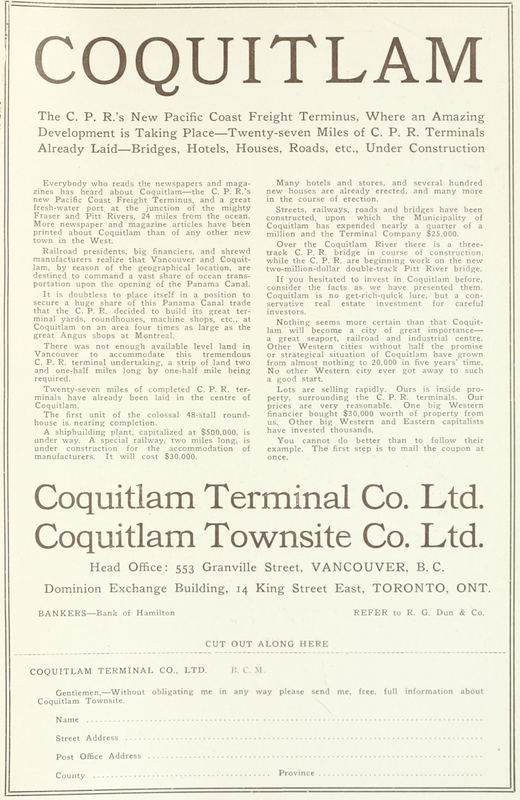 In the same issue an advertisement for the Coquitlam Terminal Company, this company operated for at least five years, and extensivley promoted themselves. I have an extensive collection of information about this company. Another posting in the ongoing saga of attempting to identify the various people in the Coquitlam Dam scrapbook, that the Coquitlam Archives owns. Page 3 Photo 1: First Bridge ?, Mr. Enderby?, Mr. Carson?, George Wilson, Mr. Bester? George Wilson, and some of the boys. 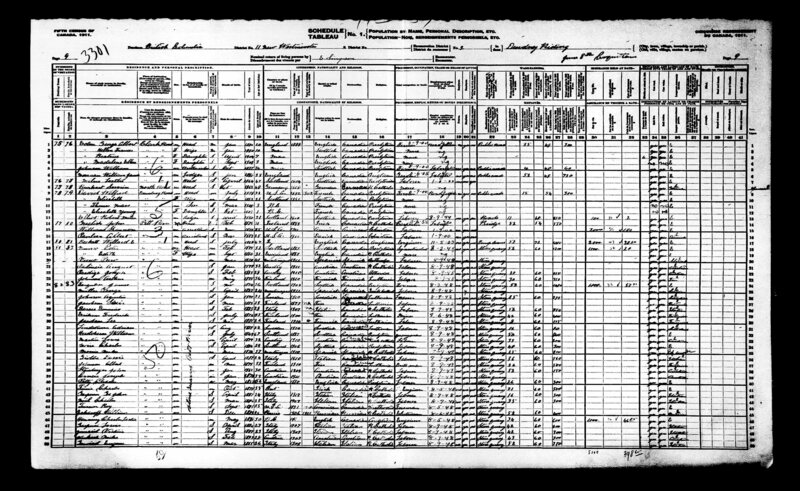 The Enderby mentioned must be either of two brothers, Alfred George Enderby ( Alfred George Ranger Enderby ) or Tom Ranger Enderby. Tom was already married by 1913, and the Enderby in these photos is not wearing a ring, although the lady AKA “I” who created the album is wearing a ring; so a good guess would be that the photos are of Alfred George Enderby. but his mother, Ellen Jane Ranger ( 1860 ― ? ) was living at 61 Regent Road, Leicester. The parents were married on the 20th of March 1881 at St. Philip's, Sheffield, York, England. 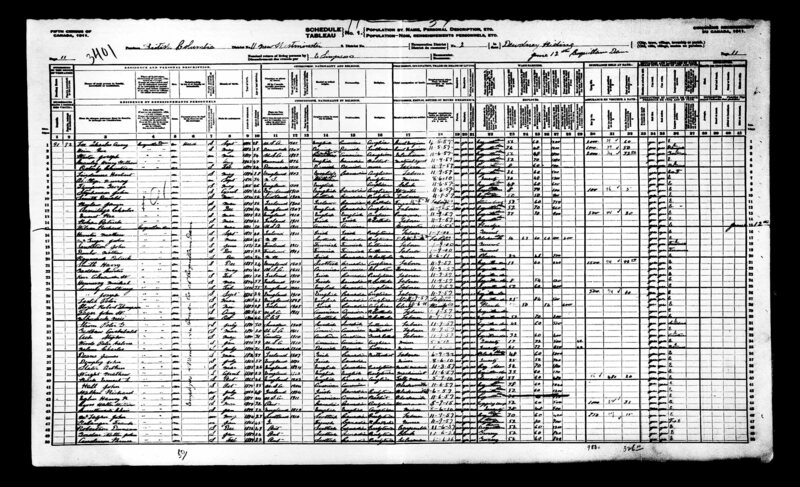 His father is Thomas Enderby, and her father is Thomas Edward Ranger. 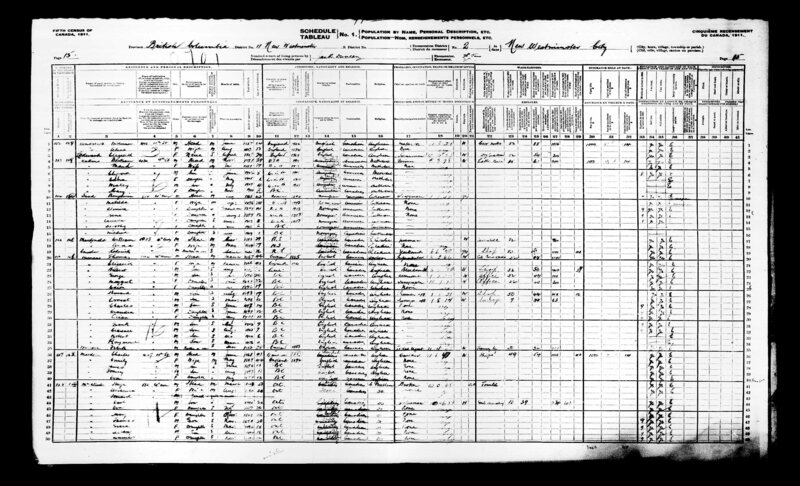 The other son was Tom Ranger Enderby, he was married in September 1912 at Vancouver to Ethel Marie Adams, both were working as clerks for the BCER at the time. The Winnipeg Tribune on the 3rd of September 1929 gave a short biography of T.R. Enderby. Tom Ranger Enderby manages Canada Steamship Lines from Montreal. T. R. Enderby was trained as an engineer at the School of Technology and Engineering, Manchester. At the age of 21 he came to Canada. 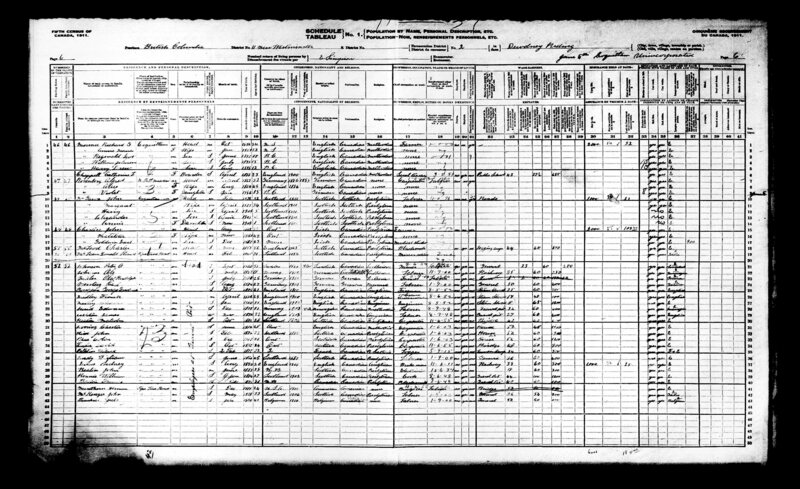 After two years in Toronto with the Canada Foundry Company and in executive work with the old general hospital he went to British Columbia where he worked on ships engaged in the coastal trade. For seven years Mr. Enderby was assistant purchasing agent for the British Columbia Electric Railway Company. 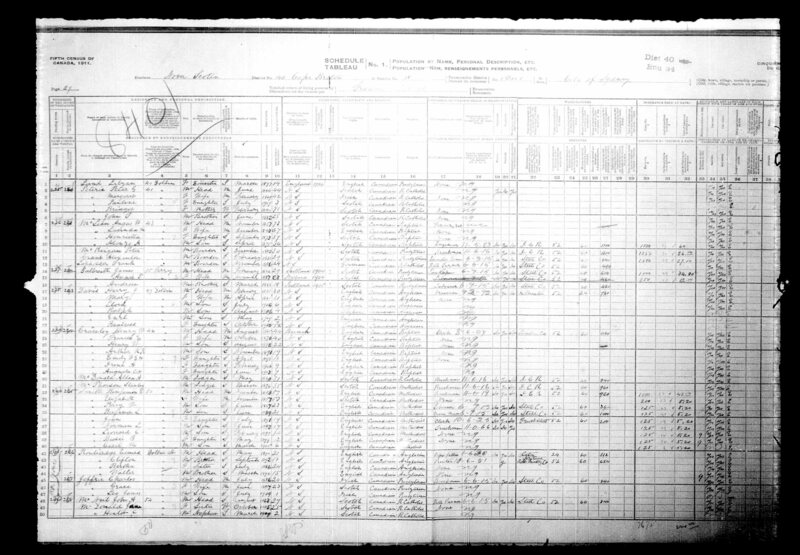 Late in 1918, Mr. Enderby became associated with the Montreal Transportation Company as secretary-treasurer. From 1919 to 1920 he was managing director of that company and upon its absorption by Canada Steamship Lines in 1920, Mr. Enderby joined the latter staff as operating manager. Until 1924 he remained in this office. In this year Mr. Enderby was appointed general manager of the reorganized Canada Steamship Lines. On April 22, 1929, at the annual meeting of the company, Mr, Enderby was elected to the board of directors. T.R. Enderby was the Master Mason in 1932 and 1933 of St. Paul’s Lodge, No. 374 —United Grand Lodge of England, Montreal, Quebec. 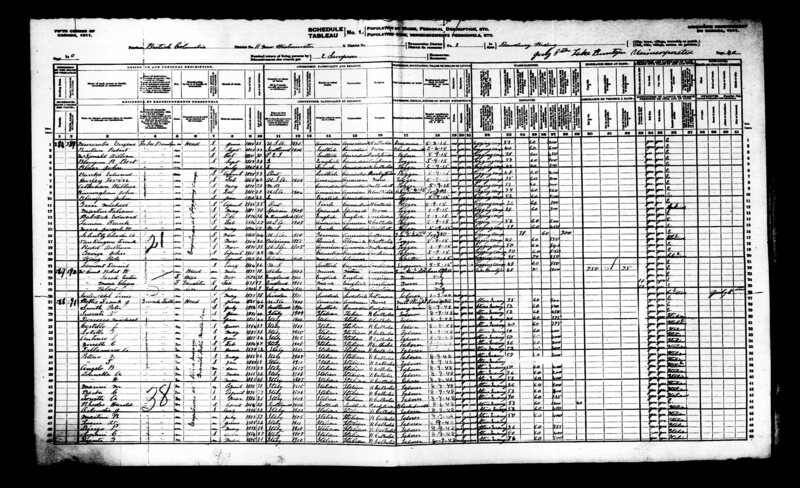 Tom was involved in shipping grain, and a ship owner, primarily in the Great Lakes, East Coast area. The Canada Steamship Lines, was a large organization, involved in shipping and tourism, the company owned and built many resorts, and decorated the ships and resorts with large collections of art works which may be part of the connection to the donor of the Coquitlam Dam scrapbook. 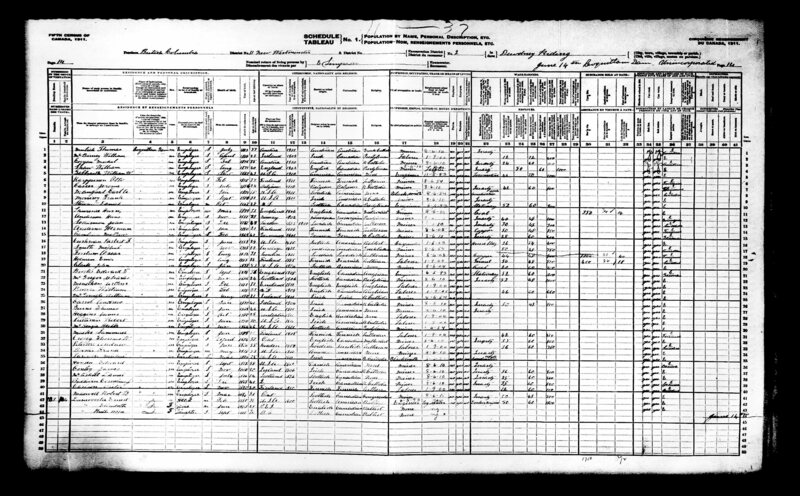 1891 census: Leicestershire, Aylestone, St. James, Aylestone Park, Blaby, Cavendish road. Plaque at Mountain View cemetery, Vancouver, B.C. 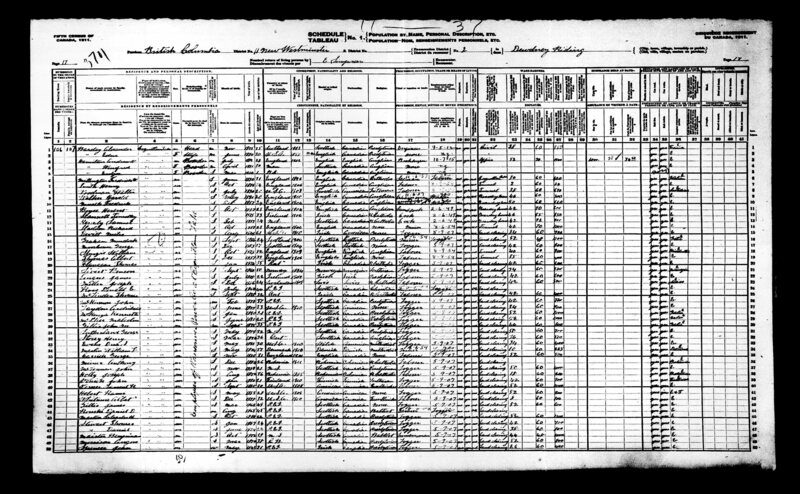 Their child George Ranger Enderby died of acute nephritis; the parents were living at, 2026 MacDonald Street, Vancouver at this time. 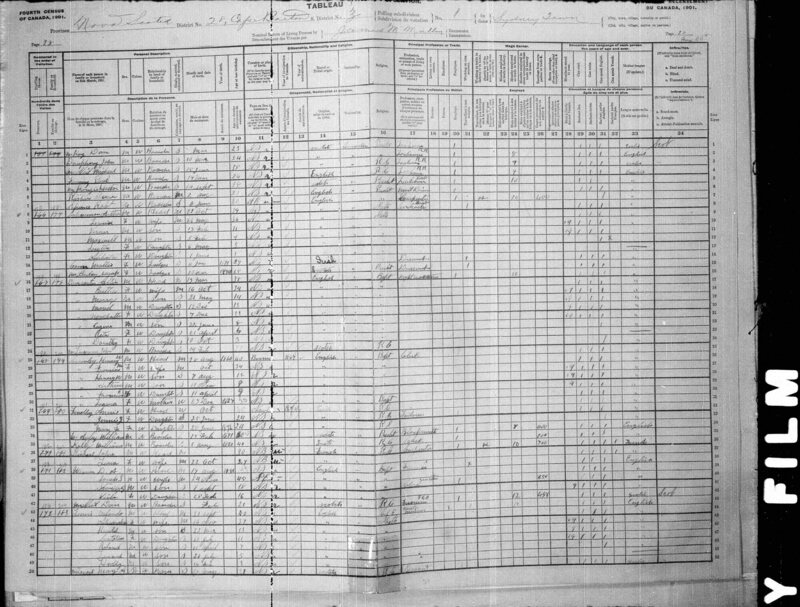 Tom Ranger Enderby 16 October 1885 Blaby, Leicester ― 29 May 1939 ? E.H. Adams in the middle 1913? When Paul Martin finally claims the prime minister's office some time in the new year, perhaps sooner, Canada will have its first true corporate titan at the head of government. This post is part of my ongoing research into identifying some of the people in the images contained in the Coquitlam Dam album, which is part of the Coquitlam Archives collection. In this post I am focusing on the Crawley family, from Nova Scotia. Page 8 ca.1912 Photo 1: Arthur Crawley standing on the road, Mr.? on the ground. 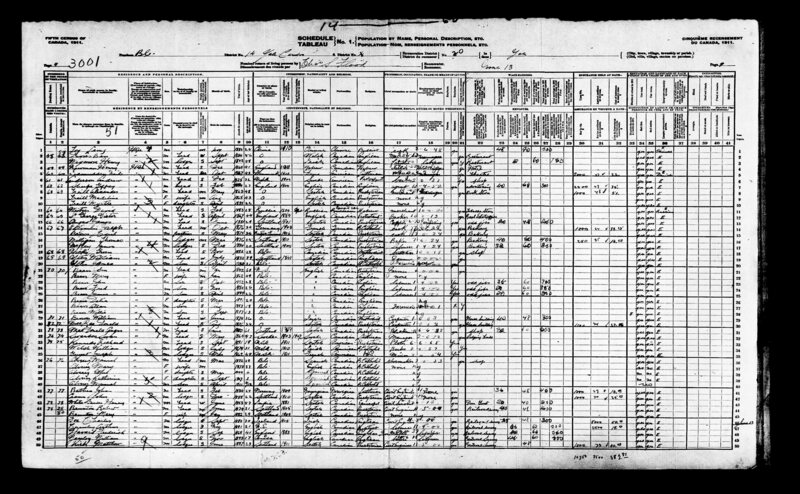 The 1911 census captured Arthur in the Yale area, where he was doing railway survey work. Arthur Richard Crawley 54th Battalion 103039 attestation: 4 October 1915 Victoria, B.C. Surveyor. Home: 2250 - 42 Ave. South Vancouver. served in France, where he did field entrenching as a surveyor. 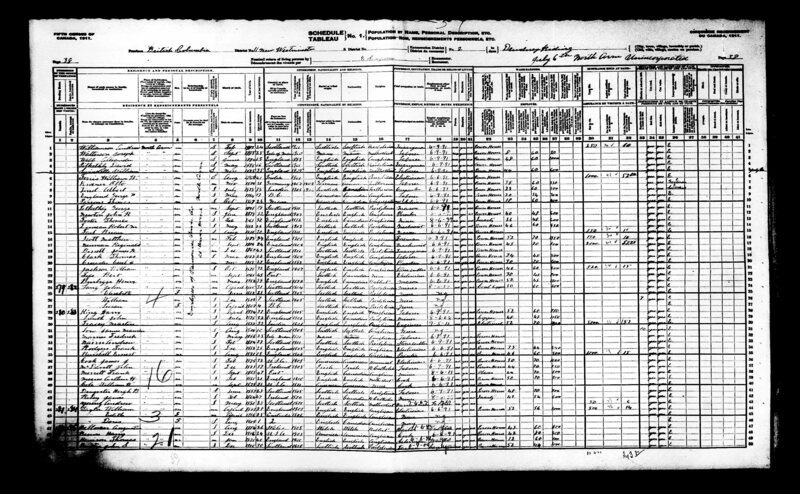 He was afflicted with the dreaded influenza near the end of the war, and was demobilized 13 June 1919, after which he got off the train at Revelstoke, and made his way to Trail, B.C., where his sister Irene Alice Crawley, was living. 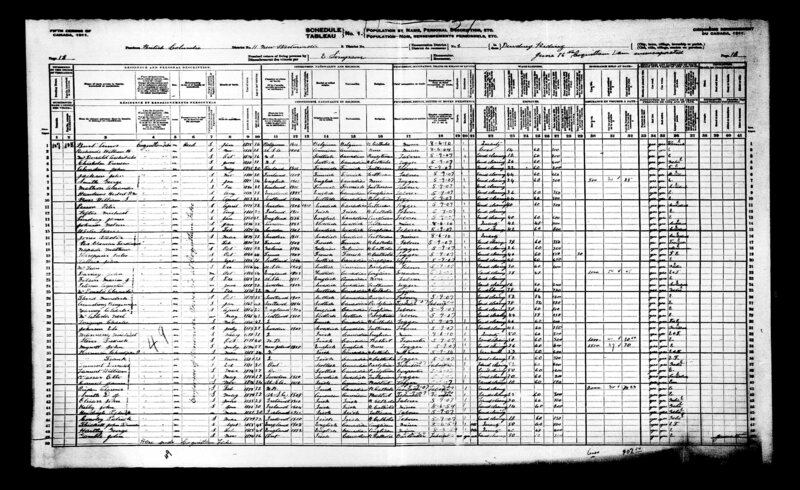 Later he appears to have moved back to Cape Breton; then sometime after the death of his parents moved back to B.C. Arthur moved from Vancouver to Selma Park near Sechelt in 1964, to live with his sister Mrs. Lewis Campbell. Arthur Richard Crawley 11 November 1891 Sydney, N.S. ― 9 June1975 Sechelt. of pneumonia. Page 23 Photo 1: Picnic June 15th, 1913 Mr. Pike, Hal, Mr. Enderby? and Girlie. 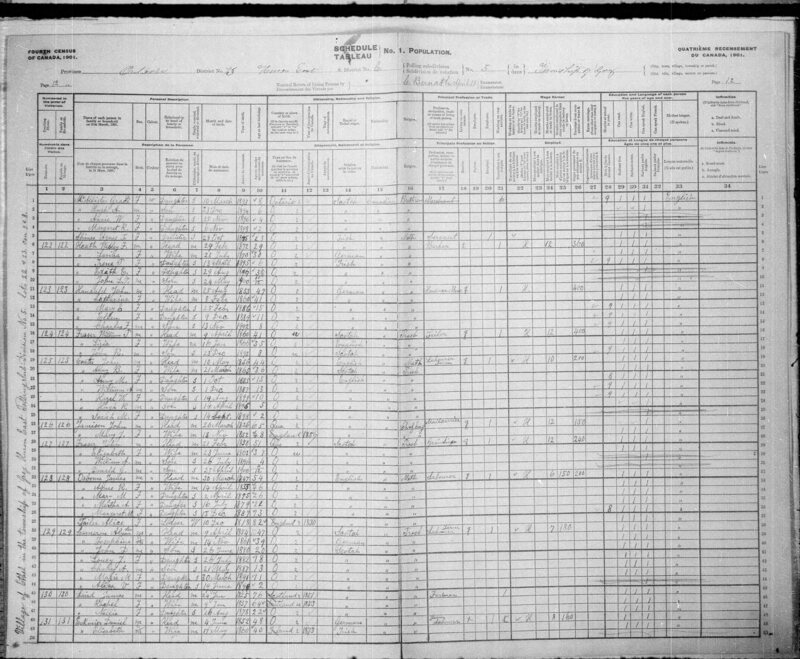 I have a strong suspicion that Girlie Crawley is, Emily Frances Gesner Huntingdon Crawley, she was married on the 13th of December 1913 at Nanaimo to “Lewis Campbell” Alexander Hugh Lewis Taylor Campbell,( 1878 ― 1951 ) dental surgeon, both were living at Coquitlam at the time of the marriage, and their home at the time of Lewis's death was 3691 Point Grey Road. 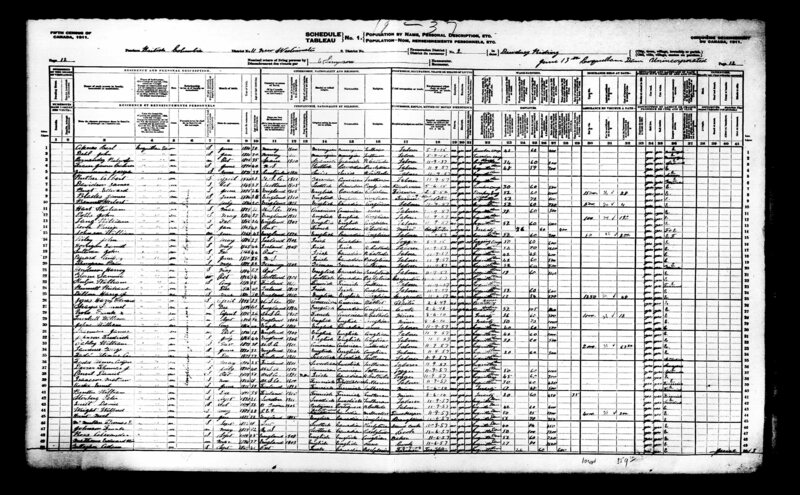 Emily Frances Gesner Huntington Campbell 11 April 1893 N.S. ― 4 December 1972 Sechelt. Hal is a nickname for Henry, so this fellow is probably Henry William Crawley, junior. 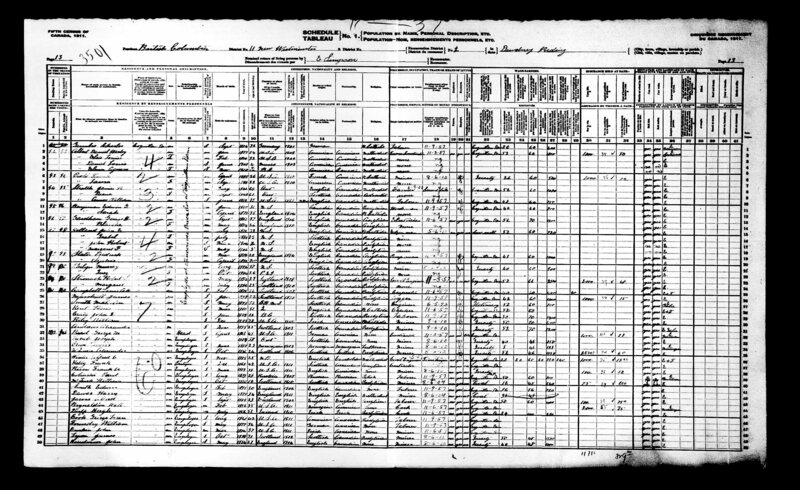 He shows up in the1910,1911 Vancouver directories, living as a student in rooms at 678 Homer Street; and the 1913 directory has him down as a checker for the Vancouver Power Company; and the 1914 directory states that he was a caretaker at the Coquitlam Dam, along with his father. 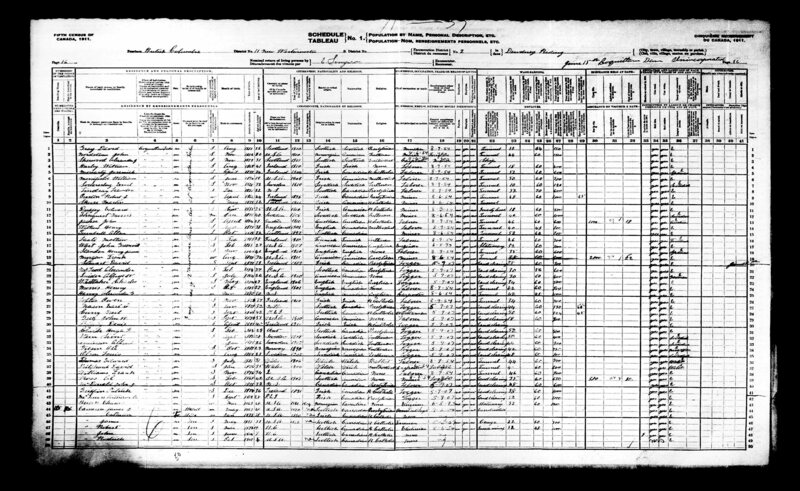 Henry William Crawley 7 August 1888 Westmount, Cape Breton, N.S. ― 27 December1940 Huntington, C.B. Was single and a farmer. Primary cause of his death was heart failure; and secondary was a prolonged suffering from injury to spine, for 45 years. He also had T.B. He had been living on his farm for 12 years. The Second and Third people in from the left are unidentified. I would guess that the three girls are all of the Crawley clan, the ages fit well. The fellow in the dark shirt, bears a strong resemblance to Hal Crawley who is to the right, and I am assuming that he is the father Henry William Crawley. 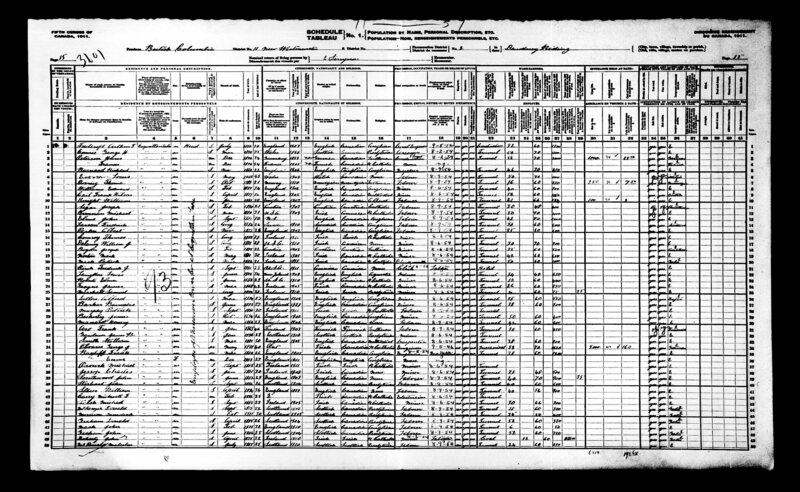 Henry William Crawley 28 August 1863 Bassein,Burmah ― 5 March 1945 Huntington, Cape Breton, N.S. accountant. H.W. Crawley lived at 46 Dolbin Street, Sydney, Nova Scotia , for many years. 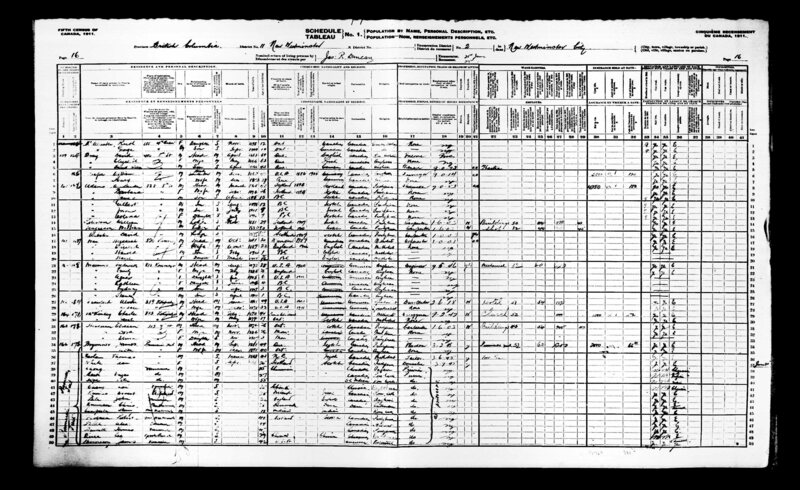 1911 Census ( Automated Geneaology ) Sydney N.S., Captures the Crawley family, even though at least three were in B.C. Henry William Crawley 1865 ― 1945 Clerk at a lumber co. he b. Burma, the rest of the family N.S. And this diary, where I have transcribed the various references to the Crawley family below. Melvin must have been related to Frances Emily Crawley neé Huntington. Partly clear and comfortable. Warm with moderate south west wind. A party consisting of Mrs. H.W. 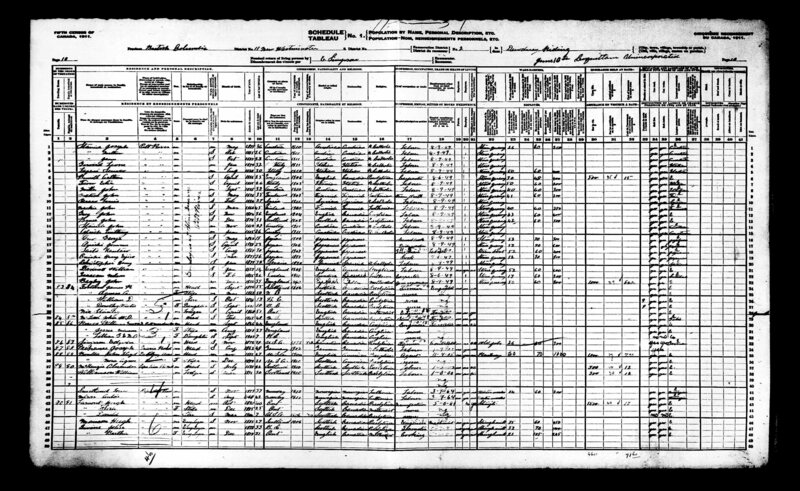 Crawley, Hal Crawley, Miss Elinor Huntington, Mrs. Sheriff, Senior, Mrs. Sheriff, Junior and Baby arrived by automobile from Huntington, Grand Mira at 12 o‟clock noon and visited various points of historic interest during the afternoon. They had dinner and tea with us and I accompanied them to “Old Town” where they were much interested in the ruined fortifications. The party left for home at about 5 p.m. with the exception of Mrs. Sheriff, Senior who remains here to visit her son, who is acting station agent at this place. Clear and cool with fresh west to north west wind. A party consisting of Mrs. H.W. Crawley, Mr. Hal Crawley, Mrs. Sheriff and Baby arrived shortly before noon from Grand Mira and had dinner and spent the afternoon with us. They returned by auto at about 4 p.m. Heavy rain in the early morning. Cloudy and warm during the forenoon, clearing in the late afternoon. Light southwest wind. Max temperature about 76. In the forenoon with Heber, I motored to Phil Gibbon‟s and Arthur Crawley‟s where we made short calls. We returned home at about noon. Clear and moderately warm, becoming cool in the afternoon and cloudy in the evening. Light rainfall during the night. Max temperature about 60. The funeral of my mother took place in the afternoon and was largely attended by relatives, friends and neighbors of the surrounding country as well as a number from more distant parts. The funeral service began at the house at 2 P.M. and was conducted by Rev. [blank] MacIvor of the United Church, Marion Bridge. Hymns sung during the service were: “O God our help in ages past”, “Son of my Soul Thou Savior dear” and “Abide with me”. The Pallbearers were: Arthur Crawley, Angus MacKeigan, Donald MacKinnon, Sylvester MacDonald, Dan P. MacKeigan and John MacInnis. Interment took place at the “Birches”. Clear and warm with variable winds, mostly southwest. Max temperature about 80. In the afternoon Heber and I visited at the homes of H.W. Crawley and Philip Gibbons, returning at about 6 P.M. The death of Mrs. H.W. Crawley occurred at the City Hospital, Sydney, today. Mrs. Crawley who was in the 82nd year of her age, is survived by three daughters and one son. The daughters are: Mrs. Guy Watts, (Augusta Hill) Huntington, N.S. Mrs. E.R. Huntington (Trent) Sydney N.S. and Mrs. Lewis Campbell, [blank] Vancouver B.C. The son, Arthur, with whom she lived, at Huntington, N.S. She was the former Frances Huntington, daughter of the late Mr. and Mrs. Caleb Huntington, and was known in her girlhood days as “Kitten”. JULY 1948 Thursday 15 In the evening assisted in digging the grave for the remains of the late Mrs. Henry W. Crawley, in the Backlanding cemetery. At 2:30 P.M. attended the funeral of the late Mrs. Henry W. Crawley. The remains was brought from Fillmore’s Funeral Parlors, Sydney, by hearse and taken to the Baptist Church, at about 2 P.M. where the service was a half hour later. Conducted by Rev. Frederick Bone, pastor of the Huntington, Mira Gut and Holmeville Baptist Churches, assisted by Rev. J.A. MacLellan of the United Church at Marion Bridge, N.S. The pall bearers were: Capt. E.R. Huntington and Fred. Crawley, both of Sydney, N.S., Clifford C. Huntington, N.S. and Fred. A. Huntington of Marion Bridge, N.S. Burial took place in Baptist cemetery at the “Back Landing”. After the funeral I returned to Clifford’s where I had supper. Other guests present were: Mrs. Dunham and Mrs. Ferguson, Holmeville, Rev. Frederick Bone, and Charles Huntington, Mira Gut, Fred. Crawley, Sydney, Mr. and Mrs. Harvey Hussey and two children, Marion Bridge. After supper I motored to Sydney with Fred Crawley, arriving at six o’clock. Enroute we picked up Henry Gibbons at Marion Bridge. While waiting for the bus for Louisbourg, I visited Mr. and Mrs. Hedley Hopkins, at their new home, in which they have recently moved, 41 Central Street. Left for Louisbourg on “Highland Lines” bus at 8:30 P.M. Arrived at about 9:45 P.M.
Labels: "Arthur R.R. 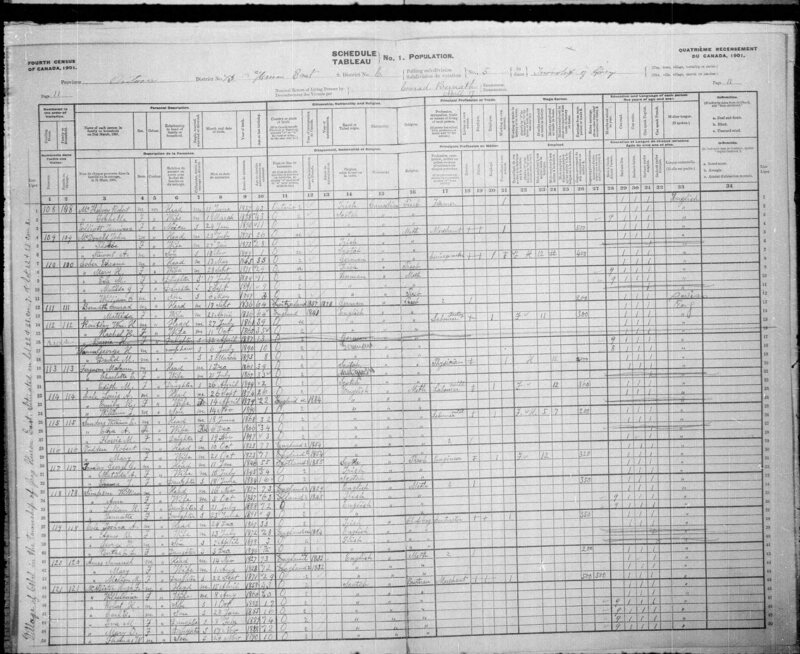 Crawley", "Arthur Richard Crawley", "Augusta Hill Crawley", "Edgar Ronald Huntington", "Emily Frances Crawley", "Frances Emily Crawley", "Henry William Crawley", "Irene Alice Crawley"
Which contains a few really nice images; I have been slowly attempting to figure out who is who in the images, and also where the photos were taken. Page 4 contains two images; Photo 1: (Not shown) First bridge, 4 men on bridge deck. Photo 1: (Not shown) First Bridge ?, Mr. Enderby?, Mr. Carson?, George Wilson, Mr. Bester? This bridge was built for the British Columbia Electric Company, B.C.E.R. it crossed the Coquitlam River, just below Or Creek, in the past known as Gold Creek. It was probably destroyed in the 1921 flood. The tracks went from a wharf in Port Moody to Coquitlam Lake. 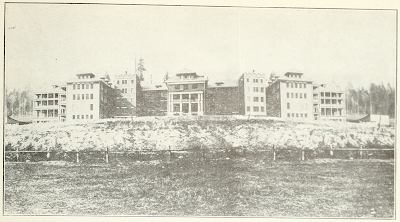 Page 518 to 521 of the: British Columbia from the earliest times to the present; Biographical ( 1914) Vol 3. tells us a little about Mr. Wade..
CHARLES HENRY STUART WADE, F. R. C. I. (ENG). F. G. S. AM. Of English birth, C. H. Stuart Wade has become an important factor in the development of the Canadian northwest. He is now secretary of the Board of Trade and also the city publicity commissioner of New Westminster. His labors, too, have been felt in scientific circles and in support of fraternal interests and in fact his aid has been generously given where the welfare of the country rendered it necessary. He was born in Macclesfield, Cheshire, England, January 5, 1858, his father being Thomas Wade, L. R. C. P., M. S. A., the head master of Stonehouse Scholastic Institute and a descendant of one of the oldest British families. C. H. S. Wade was educated in the Plymouth Collegiate School and at Kings College and received his commission as a lieutenant but resigned to enter the civil service. He held many important positions in that connection. both lasting over ten days. Mr. Wade's scientific work has been acknowledged by fellowship in the British Society of Arts & Sciences, in the Royal Horticultural Society, the Royal Geographical, Historical and other Canadian societies. He is an able and prolific writer and makes frequent contributions to the press throughout Canada as well as in England. Mr. Wade came to the Northwest Territories in 1897 and after spending over three years in exploring the Peace, Mackenzie and Athabasca river districts located in Edmonton, where he became magistrate and publicity commissioner of northern Alberta. In the latter connection he did important work to exploit the interests of the district and make known its resources and possibilities. Prominence came to him in other connections, for he was made grand registrar of Masons for Alberta. In 1908 he came to British Columbia and subsequently was appointed secretary of the Board of Trade and city publicity commissioner of New Westminster, in which public positions he still continues. His efforts in this connection are proving resultant. 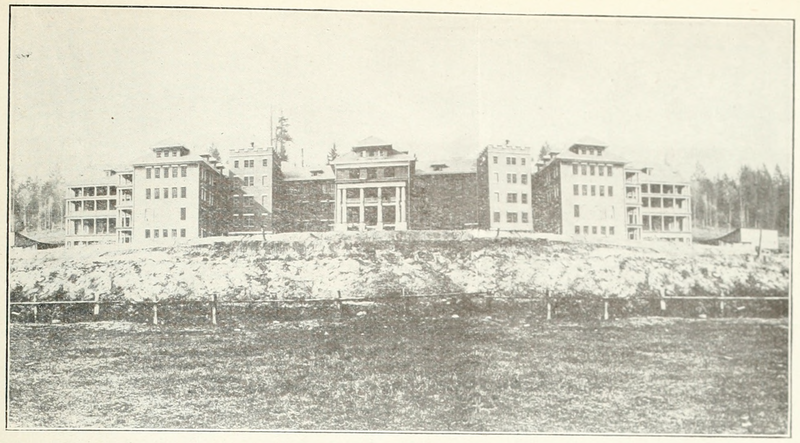 He has instituted many new methods for work of this character and is constantly formulating new plans which result beneficially in making known to the world the opportunities here to be enjoyed and the resources which nature has stored up in this section of the country for those who care to utilize them. His advice is freely placed at the disposal of all investigators regarding British Columbia's resources. Columbia; and Lillian Ernestine Wade,(1884-1918) at home. Mr. Wade among other honors, possesses one recently bestowed, as fellow of the Royal Colonial Institute. His present Masonic connections are with Lewis Lodge, No. 57, A. F. & A. M.; Westminster Chapter, No. 124, R. A. M.; Westminster Preceptory, No. 56, K. T. ; and Al Azhar Temple, A. A. O. N. M. S,. of Calgary. He was one of the founders of Lewis Lodge in New Westminster, and is an honorary life member of Jasper Lodge at Edmonton. He was also one of the organizers of the Royal Cariboo Order and is deputy supreme chief pioneer of the Cariboo Brotherhood. He has not only been a witness of the changes which have occurred in the northwest since pioneer times but also an active participant in the work of development and progress. What he has accomplished can scarcely be measured, but it is well known that his influence has been a far-reaching one and that his labors have been productive of practical and beneficial results. He is numbered among those men whose prescience enables them to understand much of what the future has in store for this growing western country and, laboring according to the dictates of his faith and judgment, he has accomplished much. IHP1556 C.H. Stuart Wade is third from the right. S.S. Princess Royal, docked at C.P.R. wharf; 1911? C.H.Stuart WadeA man once prominent in the public life of New Westminster died Friday (15 March 1931) morning in Los Angeles, in the person of C.H. Stuart Wade, who was publicity commissioner for the Royal City in the boom days Charles Henry Stuart Wade was born at Macclesfield, Cheshire, England, In 1855. In 1898, after twenty years service as an official of the London general post office, he retired on pension, on account of ill health, and came to Canada. Locating at Edmonton, he engaged In exploration work in the McKenzie River basin. He was at that time a correspondent of the London Daily Telegraph and was writing for several Canadian newspapers. His explorations earned him a fellowship in the Royal Geographical Society. He was also a Fellow of the Royal Horticultural Society. At Edmonton Mr. Wade was appointed magistrate and industrial commissioner. He came to the Pacific coast In 1907, and was appointed secretary of the New Westminster board of trade and later, publicity commissioner. In 1920 he went south, again in search of health. Mrs. Wade(a) died at Chilliwack three years ago. 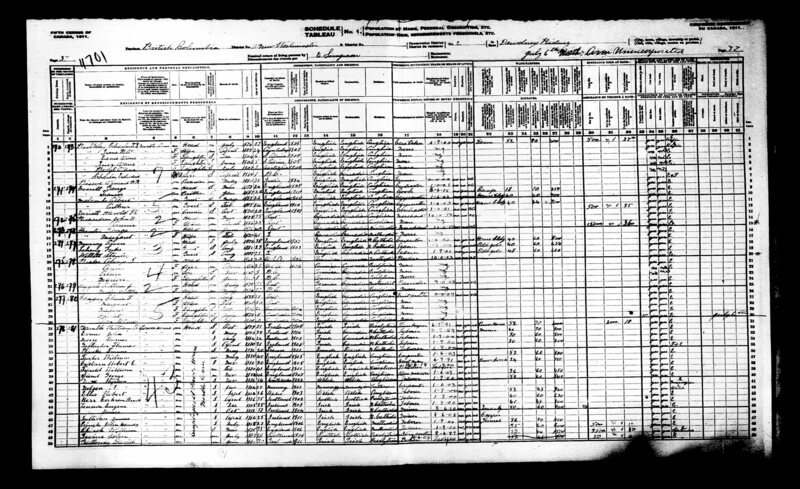 Mr. Wade is survived by three Sons and two daughters, Charles E. Wade, San Francisco; Herbert A. Wade, Hawaii; Harold George Wade,( 1879 – 1953 ) New Westminster; Mrs. Minnie Beatrice Fraser( 1880 - 1968 ), Chilliwack; Mrs. Kate Frances Crozier ( 1887 – 1968 ), Armstrong,B.C. Mr. Wade was prominent in Masonic circles. He founded Jasper lodge at Edmonton, was grand registrar of the Alberta grand lodge, and was a life member of Lewis lodge, New Westminster, of which he was one of the founders. 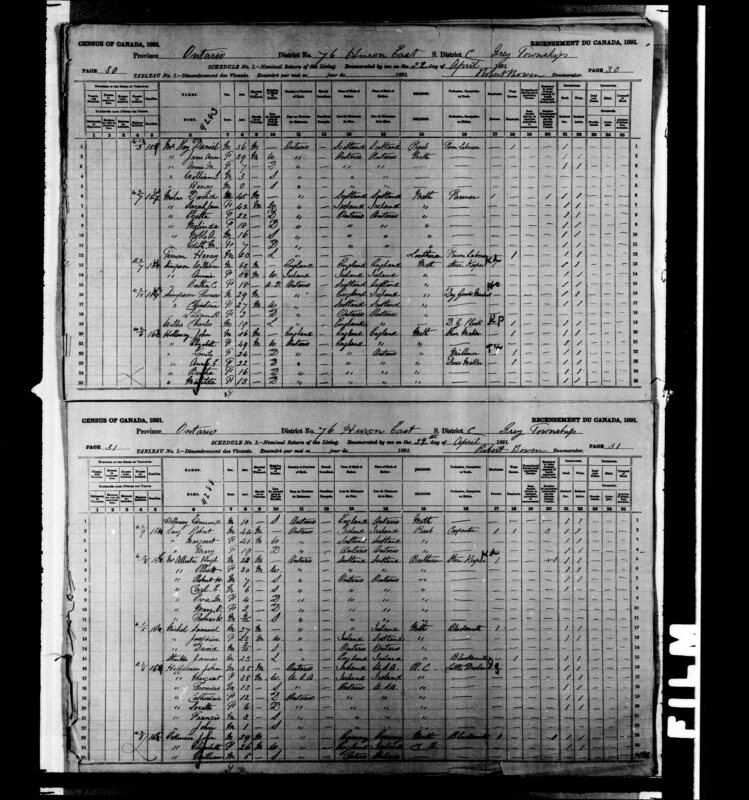 (a) Elizabeth Agnes Phillips Wade ( 1851 – 1927 ) Lived for eight years with her daughter Minnie Beatrice Fraser, in Chilliwack, while her husband lived in Los Angeles; Elizabeth had been an invalid for 26 years. Buried in the Family plot at St. Mary’s, Sapperton. Found this gem in an old newspaper; I would not be surprised to see something similar today, but probably contained within a three inch thick binder dealing with the same subject. A quick search of the City Archives revealed this from 2013 BYLAW NO. 4419, 2013 A Bylaw to amend the “City of Coquitlam Zoning Bylaw No.3000, 1996”, and amending Bylaws. To define what shall be deemed a lawful fence within the boundaries of the District. (1) A wire fence to constitute a legal fence must have a top rail and three wires. The top rail must riot be less than three inches in diameter at the small end, and either spiked with six-Inch spikes, or one inch thick trunnels, or the top rail may be composed of 1x6 Inch boards securely nailed to side of posts within two inches of top of posts. The posts must not be less than four inches in diameter at the small end, and be sunk not less than two and one half feet into the ground. The fence to be not less than four feet nine inches from the ground to the top of the top rail. The posts to be not over ten feet apart, the first wire to be one foot from the ground, the second two feet from the ground, and the third wire half-way between the second wire, and the top rail. (2) For a board fence the posts shall be four feet nine inches long from the surface of the ground, and sunk two and one-half feet in the ground, and to be not more than ten feet apart; the boards to be securely nailed to the face of the posts, with not less than 8 penny nails; the boards to be what is termed in mills as Inch lumber, not less than six Inches wide, and distribution of boards to conform with the Prov. Statutes regarding fences. The posts to be not less than four inches diameter. (3) For a picket fence the posts shall be four feet high above the ground, sunk two and one-half feet into the ground, and not more than ten feet apart. The pickets must not be less than three-quarters of an Inch thick, and four feet nine Inches long from the ground, and to be either sunk six Inches into the ground or securely nailed to two rails, one rail on top of post, and the other one foot front ground. (4) A picket fence without posts shall consist of pickets of not less than three inches In diameter at the small end, and sunk Into the ground not less than two feet, and not more than three inches apart, and to stand four feet nine Inches from the surface of the ground, and 1x3 or 1x6 inch boards nailed within six inches of the top of pickets with not less than 8 penny nails. (5) All snake or crooked fences to be deemed a lawful fence shall be six rails (not less than four inches at small end), high and the rails are not to be over six Inches apart staked and ridered, either centre staked or corner staked, and the stakes are not to be less than two inches in diameter at the top end, and driven or sunk In the ground not less than nine inches. The rider must not be less than three inches in diameter at the top end, and not more than twenty inches from top rail, the worm to be laid for twelve foot rails must not be over sixteen feet from first corner to second corner. (6) A double post fence straight must be made with posts not less than four feet nine high, and sunk in the ground two feet six inches and securely fastened at top of posts either with slats nailed across or tied with wire, and the rails are not to be more than six inches apart, and four feet nine inches high from ground to top of rail. (7) Chock and log fences shall be of the same dimensions as snake fences only without stakes and rider; but the top log must be securely spiked or trunneled with not less than inch thick trunnels. This By-Law shall take effect on the first day of January, 1894. This By-Law may be cited as the Coquitlam Fence By-Law, 1893. 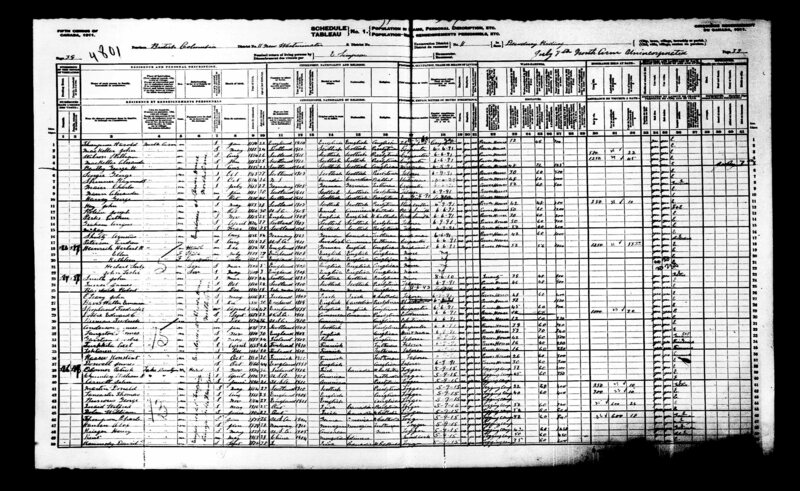 Roberts entire family was born in Ontario, the McAllister family were settled in the Grey Township, Huron East area, Hugh is listed as a storekeeper and merchant, in Ontario, and when the family settled in New Westminster in 1908 he was a log and lumber broker for a short period of time before he retired. Robert also was involved in the business; but he was also involved in selling and buying land, some of which he bought from an early area pioneer, Edmund Arthur Atkins ( 1843 — 1924 ), whom I will write about soon. An excerpt of the 1909 map, notice the creeks; the creek on the right was known as the East Coquitlam River, and today’s Donald Street follows it’s old, now dry course. Google Earth image of a portion of downtown Port Coquitlam. See also this 1959 Legal survey map, which has McAllister Avenue at the top, and shows more of the southerly portion of the old course of the East Coquitlam River.